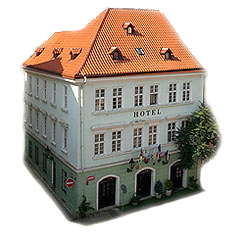 Betlem Club Hotel is located in the Prague city center near the Old Town Square which is only a 5 minute stroll away from the hotel. Nearby are the Charles Bridge, Hradčany, Prague Castle, the Jewish Quarter, the Royal Route, Bethlehem Chapel and many other landmarks in downtown Prague. Old Town Square (Czech. Staroměstské náměstí), formerly called the Great Square and now in Czech popularly known as the "Staromák" is one of the most beautiful squares in Europe and one of the largest monuments of Old Town Prague. It covers an area of ​​more than 9000 square meters. Although the best known landmark here is the Old Town Hall with its famous Astronomical Clock, there is still much more to see. Old Town Square is surrounded by Tyn Church, the Hussite church of St. Nicholas in Old Town, Kinsky Palace, House "U kamenného zvonu" and in the middle of Old Town Square is a monument to Jan Hus. The Royal Route also passes this way, linking most of the main landmark sights of Old Town. In the 11th century the Old Town square market became the most important commercial center in the country and the square itself became a theater of many important events. 27 Czech lords executed there after the estates uprising in the White Mountain (Czech. Bílá Hora) near Prague, which triggered one of the biggest armed conflicts history- the Thirty Years War. Due to the importance of the Old Town Square it is not surprising that this is where the Old Town Hall was built. Old Town City Hall dominates the Old Town Square and its Astronomical Clock is one of the most famous and most visited monuments in Prague. City Hall in Old Town Square was founded in 1388 by King John of Luxembourg and stands in the middle of the city as a symbol of his independence, on its face the proud password Praga caput regni - Prague head of kingdom. Old Town City Hall as we know it today, was created by merging several town houses that have been modified over the centuries to accommodate the needs of the administration of Old Town. The gem of the Town Hall is a massive square tower, which is not only the town hall chapel, but contains the famous Astronomical Clock. The famous Astronomical Clock (Czech. Pražský Orloj) was launched in 1410, built by clockmaker Mikulas of Kadan (Czech. Mikuláš z Kadaně) and designed by John Andrew (Czech. Jan Ondřejov) called Šindel, who was the personal physician and astrologer of King Wenceslas IV and Sigismund of Luxembourg. In 1490 the Astronomical Clock was improved by master Hanus. The Old Czech Legends cite Master Hanus as the original creator of the Prague Astronomical Clock. According to Legend, the officials of Prague blinded him when the job was done so that he could not build another clock in any other city. The blind master asked his apprentice, James (Czech. Jakub), to lead him to the machine and in 1497, Master Hanus placed his hand on the machine and according to Legend the clock stopped for a long time.